This filling line specially for 3-5gallons barreled drink water,with type TGX-120,TGX-300,TGX-450,TGX-600,TGX-900,TGX-1200,It intergrates bottle washing, filling and capping into one unit ,In order to achieve the purpose of washing and sterilizing . 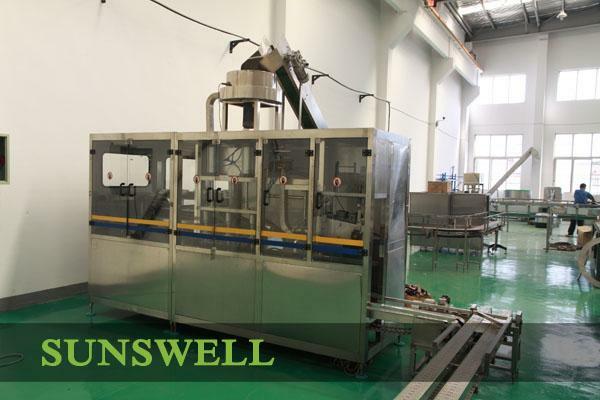 The washing machine use multi-washing liquid spray and-thimerosal spray, This thimerosal can be used circularly, The capping machine can cap barrel automatically ,this line equips with water spraying device in order to ensure those caps sterilizer and clean .it also can automatically carry out barrel ,washing, sterilizing ,filling ,capping ,counting and products discharging ,with complete function ,modern design and high degree of automation ,it is a new kind of barreeled water auto-production line ,which intergrates mechanism, electricity and pneumatics technologies together . 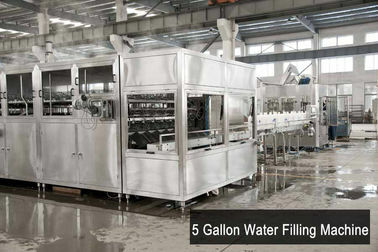 It is the ideal equipment for mineral water, distilled water and purified water producing process. 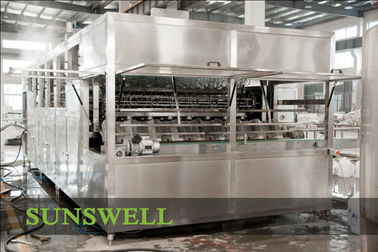 The machine is made of excellent stainless steel with the advantage of easily-rinsing and corruption-resistance. The main electrical parts adopt products with brand of SIEMENS and OMRON. Pneumatic parts adopt products with brand of AIRTAC. Both the inner and outer shower nozzle for washing barrel adopts the special technology equipment from American Sprayer Company. The machine works reliably and efficiently based on the compact structure and high automatic technology. 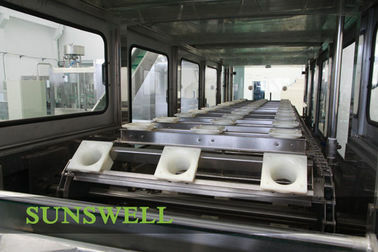 It is the fully automatic barreled water producing equipment combined with machine, electronic and pneumatic components. 1. 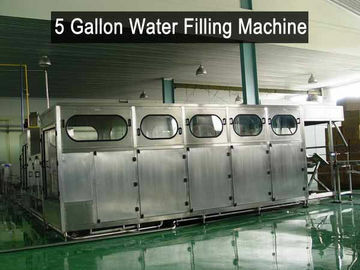 It is specially used for filling 3 gallon to 5 gallon bottled water. 2. It is a good machine line for the all shapes of bottles. 3. 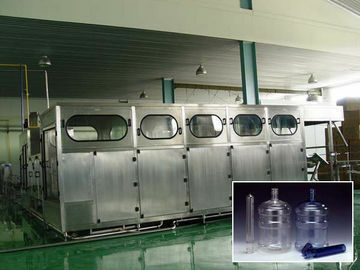 The machine is designed for bottles such as PVC. PE. PET etc. 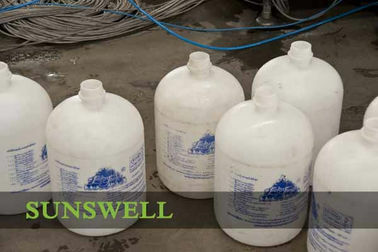 It can be used for different shapes of bottles. 4. The machine line with stainless steel rinse nozzles, pressure filling valve, screw capper, hot steam film shrinkage machine top quality line. 5. Filling time is controlled by the PLC. 6. 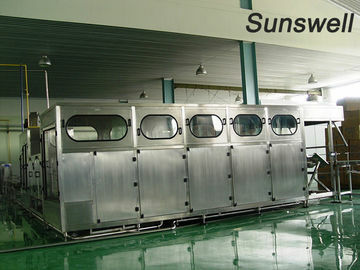 The machine adopts high quality stainless steel frame(No. Z304).